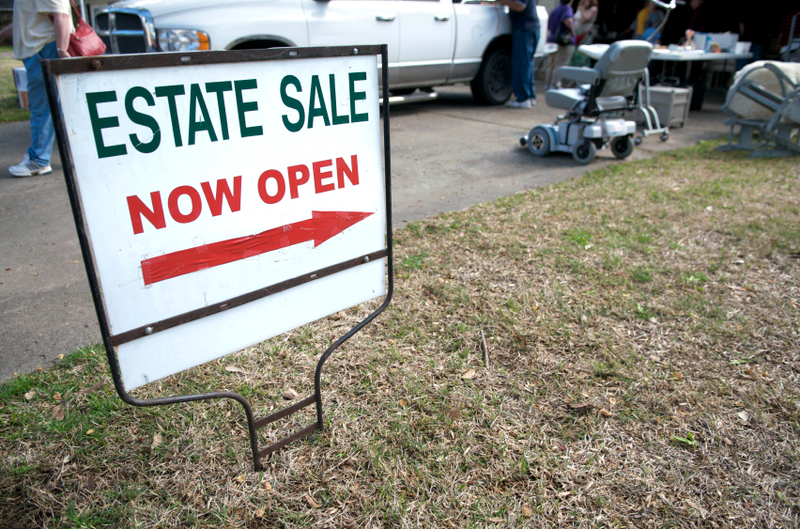 As the estate sale industry continues to enlarge by leaps and bounds estate liquidators are choosing to what types of sales they want to handle. This applies from the east coast to the west coast and from the north to the south. Some estate liquidators prefer to handle only high value estates (designer furniture, gold and silver jewelry, listed art and glass etc.). It means they handle fewer sales, but they expect greater financial returns for the seller and their commissions. Many other estate sale companies work with the average house contents (furniture, kitchenware, lawn and garden, clothing etc.) They may hold more sales, but they too provide a much needed service. Then there are companies that will work from a 1 day sale (usually a partial contents) to a 3 or 4 day sale including a hoarders house. Whatever company you choose, ask how they obtained their experience and knowledge. 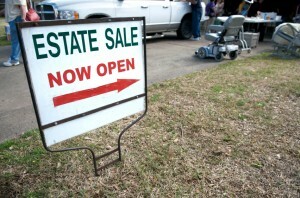 Remember that retail prices do not apply to estate sales. It’s like buying a car, once it leaves the lot the price declines. Unless it is a one of a kind, extremely unique or a rare antique, it will not bring the price you purchased it for. How your items are priced will determine how successful your sale is (that is not to suggest anything be given away in price), but it is important to price right. That also does not mean that eBay is the only source for prices. There is a host of available data on the internet to assist with pricing not the least of which are professionally trained certified personal property appraisers. If you have just a general contents home or property find the estate sale company that will be competent, knowledgeable, and excited to bring you financial success. Remember it isn’t what a company sells, it is how well they succeed at what they are selling. 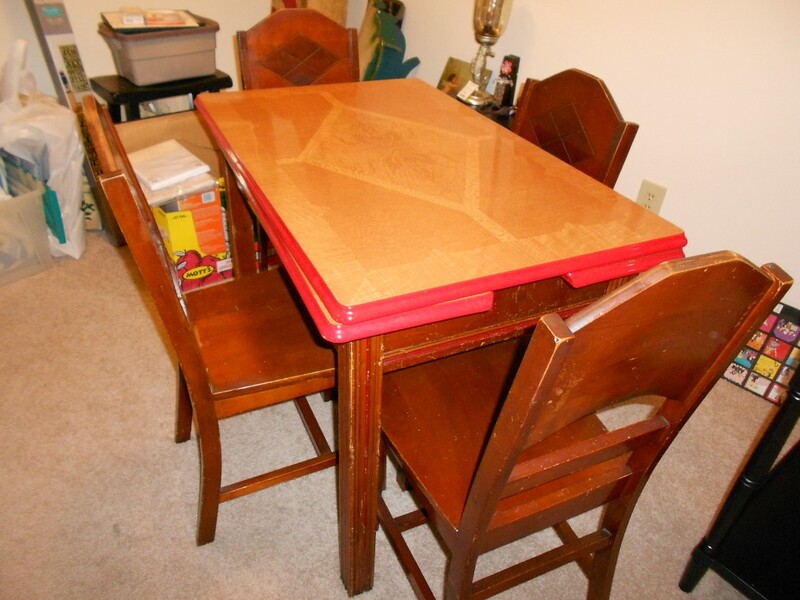 Estate Sales News recently visited a sale in Maryland. We were impressed by the professionalism demonstrated by the company running the sale. Starting with the numbers handed out. They were on preprinted cards. The card also included their website, reminded them to sign up for emails from them and on this card included the address of the property. As you entered the property they were collected and no one could mistake which numbers were the official ones for the sale. They also passed out a printed 8×11 black and white sheet of paper with each room of the house listed including the basement and garage and what major items you could expect to find i.e. dining room – china, dining set, figurines (elephants, frogs). This guide certainly simplified where to go for the items of interest. Before the door opened for business the gentleman running the sale came out and spoke with the crowd of people waiting to get into the sale. He asked trivia questions, talked about the sale and made the opening quite pleasant with most everyone waiting (over 100) in a happy and friendly mood. Setting the stage for an estate sale is almost as important as staging the interior. Being a professional from start to finish impresses sellers and buyers. 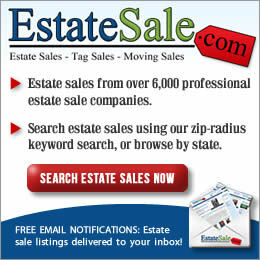 Estate Sales News has had requests from hundreds of people about subscribing to us for the latest articles about estate sale information, news, business, and sales. 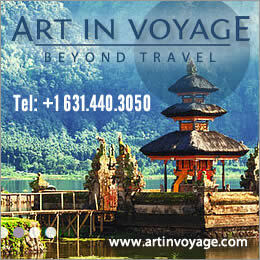 We now offer you the ability to subscribe to our news magazine by category or in general. You will receive each new post directly in your inbox. You can opt out at any time. Now if you want any article we publish about news worthy estate sales, estate sale contracts, vintage and fine, and or just each new article just REGISTER NOW (button) on the upper left side of our website front page. Most weeks we publish Monday to Friday so you can have your morning tea or coffee and read the latest about estate sales. WKRG from Mobile, AL and reporter Blake Brown recently covered an estate sale robbery conducted during the estate sale. Professional estate sale liquidators are keenly aware of the problems that can occur at estate sales and the most important one is theft. Knowing what and who to watch for, suspicious behavior, keeping money safe as it accumulates during the sale, all of this is part of the job of the professional estate sale liquidator. Although there are many books and videos available about how to conduct your own estate sale, for so many reasons, not the least of which is theft protection is a great reason to hire a professional estate sale company with experience and references. It isn’t just about locked show and display cases. In today’s world understanding peoples behavior is also important. 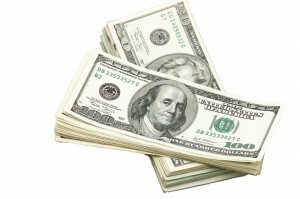 Knowing how to keep the money collected secure and protected is paramount. It would be prudent to ask during a phone interview or face to face interview if the company has ever encountered a theft issue and how they handle it. Estate Sales News has been receiving a flood of requests for joining websites for business listings and reviews and also receiving numerous unsolicited emails from companies that claim not all our information is listed. If this is happening to Estate Sales News it is also happening to estate sale companies. Here are a few suggestions. Google and Yahoo are free for you to post a review on. 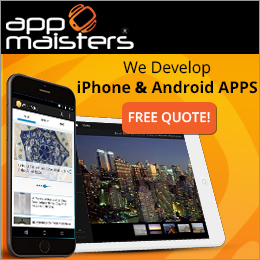 They may require you to have a gmail or ymail address, but no fee is required. Yelp and Yext require fees from companies. We hear daily from them wanting us to “verify” and of course pay. A good or bad review should be able to be placed without a fee and should be available to an estate sale company to respond to. Not all poor reviews are justified. Sometimes it can be a disgruntled customer who was unsatisfied with something as simple as a price or discount. 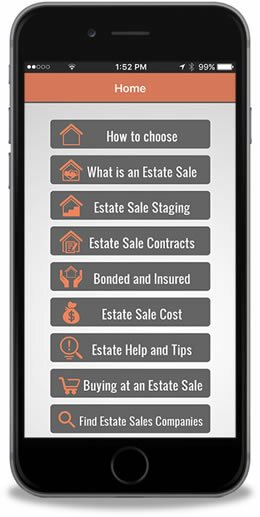 Sellers and buyers should be able to post reviews along with the ability for an estate sale company to respond. 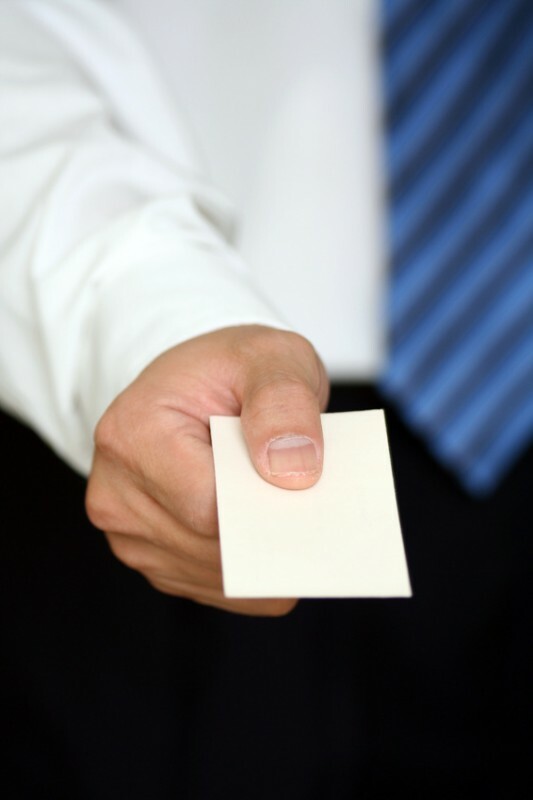 Reviews greatly influence what happens at many sales. When posting a review try to keep focused on what was good or not and avoid the pitfall of a rant. The same applies to responses from estate sale companies. 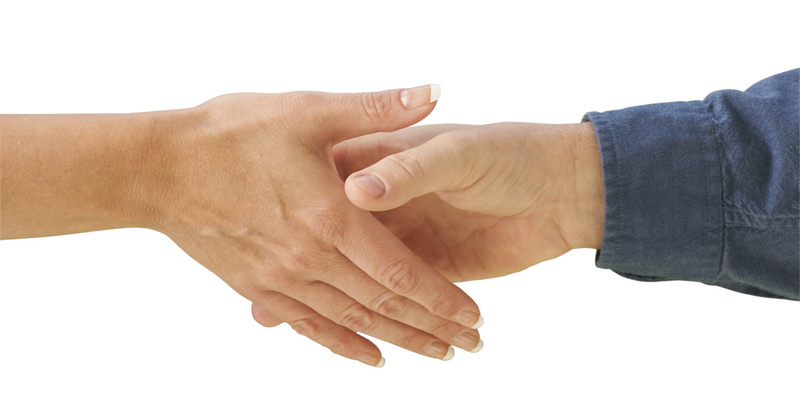 If you are a seller it is still highly suggested that you talk to a previous client of the company by telephone. Ask them what they thought of the service, staff, advertising etc. Hearing directly is still the best testimonial of all. If you come across estate sale company websites that do not change their testimonials ask yourself why. Do they not spend time working on their site or have someone do it for them. Up to date reviews are important because they reflect current productivity and satisfaction. If no reviews are listed ask the company for telephone numbers and where you can read reviews. Knowledge is empowerment and your financial success is involved. 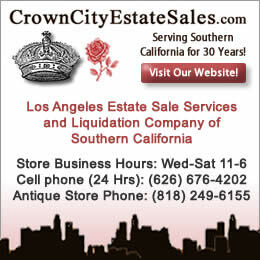 Estate Sales News had an opportunity last week to speak with Jackie Wise, co-owner of Crown City City Estate Sales that works in Los Angeles and southern CA. Your editor first met and interviewed Jackie at an estate sale in Reseda, CA in June 2013 where she was selling off the contents in a home of a man who had owned a lighting store on La Brea. The video of the sale can be viewed in Estate Sales News archives for June 2013. Jackie’s front page of her website is innovative, informative and friendly to perspective sellers. Along with company information and services, she has updated written testimonials including a photo of a handwritten one and a new twist that only some companies have used – a video interview with a past seller. It literally speaks to someone looking for information and an opinion about the job done by Crown City Estate Sales. With Jackie’s permission we are featuring below as an example the current video on her front page from one of her sellers.